This unique area confers a tremendous opportunity to learn an incredible wealth of geographic areas at a modest piece of land in its area. A relaxed walk, which will take more than one day, will take you from the hot desert, tabernacles through the thick virgin forests, through the alpine meadows straight to sparkling ice shell tops. 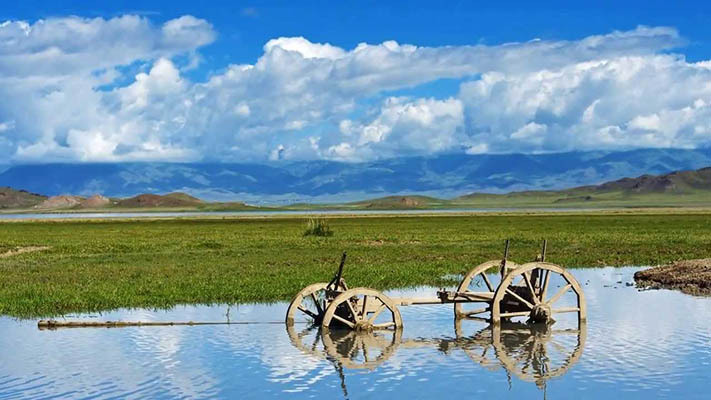 Even acquiring a cheap tour, you can visit this wonderful land. Saturated greens slopes are real dream botany. Green ring cover forests and meadows foot of these stone colossi. 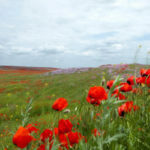 Golden green foliage of trees is replaced by the rolling in the gusts of fresh mountain winds, waves meadow grass where bright crimson sparks erupt buds of poppies and peonies. Bracer mountain reservoirs hide from prying eyes velvet scenes of apple orchards, slender palisade aspen and hawthorn lace luxuriant. In the green, imbued with golden threads of sunlight, shady forests of fabric hiding many wild inhabitants. Here and skittish rabbit, hamsters and inflated, and proteins. A very lucky (or vice versa) may even meet a snow leopard or brown bear. Where vegetation is lacking, on rocky ledges pounding hooves mountain goats and argali echo them. Complex shapes prescribed galloping gray shadows steppe protein. 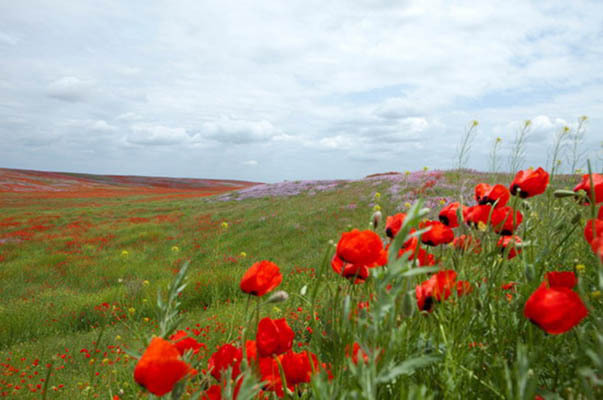 Beautiful land Balkhash paints rich colors spring to mid-May poppy meadow redden, forcing travelers delight squinting. In the grass in an indifferent greatness regale frogs cranes in dense thickets gently pheasants. Hot summer whitewashed lush green of the leaf to dry straw steppe. 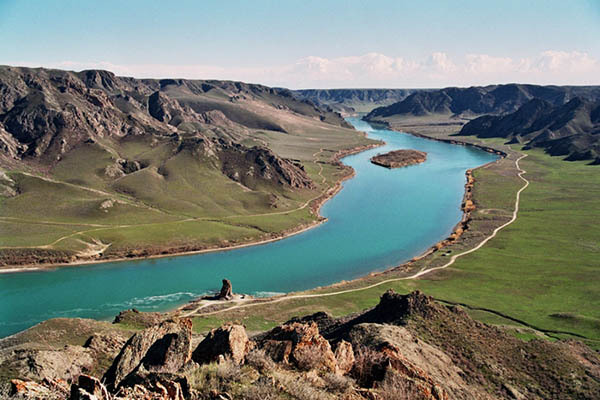 Tour operators in Kazakhstan recommend this region to visit the natural wonders of the fans. Among the natural splendor of the region lies Raimbek several villages. Each of them is proud of its unique scenery. Frozen among the cozy house, you can to hurt the eyes, and the lack of space for shots on the camera to admire the panorama of valleys and sharp mountain peaks rhythm. And if the winter landscape is designed in strict monochrome colors in the spring and in the autumn he literally pulsates with color. His name region received through brave deeds Raimbek-Batyr tirelessly expels Jungar invaders. And to the valor and honor of the warrior is not erased from the memory of the people, as the hoof prints of his cavalry hid carpet grass in the village Kasensay Raimbek it captured in the monument. And alluring shimmer shades of turquoise Lake Alakol in the translation sounds like a multi-colored. The deeper the mirror surface of the water drop is proud, preening, mountain peaks. Faceted green coast it attracts many travelers who are frozen in shocked silence, imagine the great warriors of the past, which watered with clean water horses, broke camp fires smoke, feast and singing preparing himself for battle. Earth Zhetysu always was generous ground not only for the unique plants, but also for people inspiration. Not for nothing here at various times been focused vigorous cultural life, foaming amazing songs and melodious verses. Here, pushing the whispering grass, roamed akyns, and near the mountain streams, echoing chime jets strumming singers. Inspiring, Zhetysu generously their talented children and other lands of Kazakhstan. 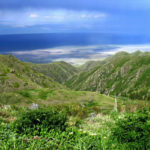 On the slopes of the mountains, not only ran down the rivers flow, hence a powerful channel of Kazakh culture poured streams of traditions and customs that originated near the tops Zhetysu, as well as fresh water for new forms of various crafts. 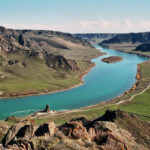 So expertly made instruments, richly inlaid jewelry and other items have been waiting in the wings and archaeologists since the third century BC in Kargaly gorge. 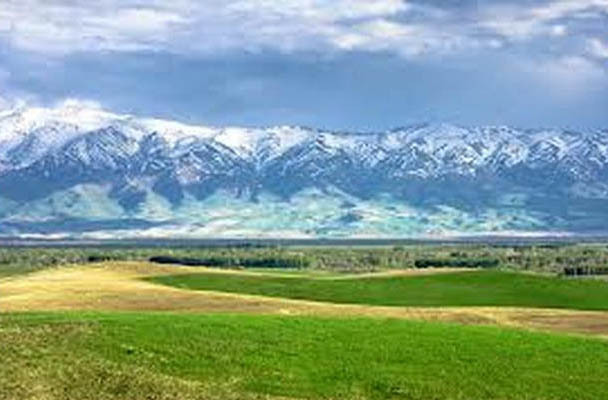 It was in these lands has been found the last resting place of the „Golden Man“, Issyk mound. 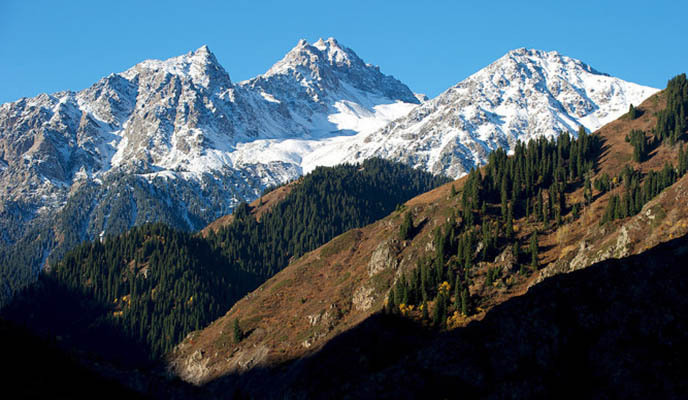 Not only noble and redheads Saks looking for their last refuge in these lands, cold slopes of the mountains hidden by sunlight in his arms and great Ciocan Valikhanov, who made his name in the annals of human studies of Central Asia, ethnographic works and pedagogical talents. 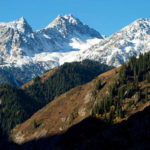 He is buried near the pass Altyn-Emel, which in Kerbulak. In his honor, there arose the Kazakh government efforts architectural complex designed to honor the memory of Valikhanov. In this land, even from nature erupt singing talents. Unique and famous artist Zhetysu – is „Singing Dunes,“ which is not one millennium responds to the heat from the sun, filling the air with a powerful buzz. Legend it is not yet clear, and maybe that’s why dune, contrary to all the laws of nature, stood in one place, rather than wandering over the plain that he, in theory, supposed to do. If rest is not nice without civilization, the place of the best water parks in Zhetysu was not found. The complex of buildings, designed by Italian craftsmen, was first opened in 1993. 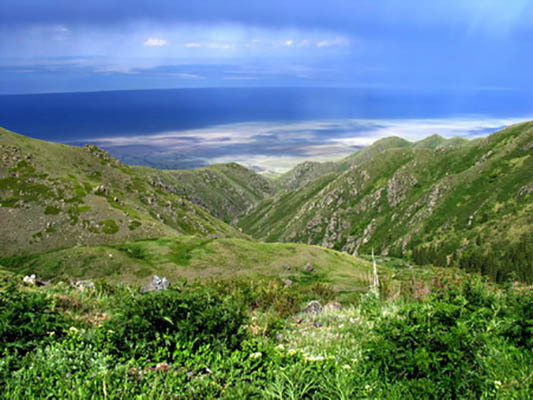 It is located near the lagoon Kapchagay artificial, man-made sea of Kazakhstan. Breathtaking water slides loop, ten-tower test, the courage, and many other attractions dizzying attracted during the warmer months in the water park, not less than five thousands of tourists daily. Prefer to enjoy the sun and the freshness of the water surface without tricks, waiting for the shore of Kapchagay. In any case, there is a number of one of the prettiest hotels in Kazakhstan, so that you can stay here for a couple of days. It seems inexhaustible wealth of this region. His secrets, and the interest is not archaeologists and museums keep the bowels Zhetysu. Here, deep in the rocks, hide in his great wealth of mineral deposits. 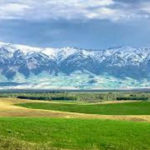 Gas, hiding in the Lower and Kolzhaty or according to rough estimates, in the case of the development of these fields, the company „Podzemgaz“ would be able to compete with their competitors in neighboring Uzbekistan in terms of production costs and the processing of these products. Manit here geologists and miners are also flickering light gold. It was mined in these wonderful lands still people Copper and Bronze Ages. This is evidenced by the amazing things that came out of the hands of skilled craftsmen Scythian, who, according to Herodotus, the great, weapons and other sharp objects hammered copper, and ligature whimsical patterns woven in gold jewelry. Asian Scythians were not greedy and left no descendants of a few hundred tons of gold. Against this background of brilliant deposits of ores that contain platinum, manganese and sugnit, even impressive. The rich soil for growing edge of many different cultures here. Basically, in the region live and constantly take care of the generous earth people engaged in agriculture. It allows Zhetysu hold leading positions in the sphere of economy in the country. Tourism in Uzbekistan , reviews say about it, it does not offer as many opportunities for varied holiday.е экономики в стране. Туризм в Узбекистане, отзывы говорят об этом, не предоставляет стольких возможностей для разнообразного отдыха.